Eliminate print costs. Manage and share content. Capture leads. Track usage per asset. 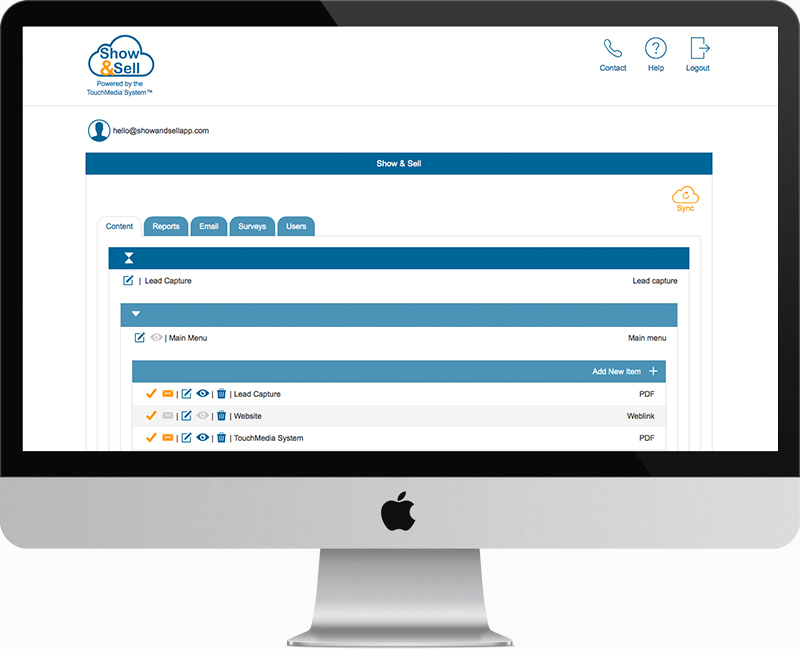 Create custom forms & leads. Our approach to sales is this: Keep it simple and always have the right tools in hand. 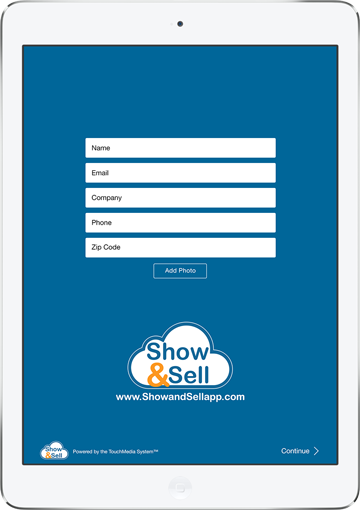 Show & Sell is a dual-mode sales and trade show app that combines eMedia content management, lead capture, surveys and forms into a simple, brandable app that works with or without internet. To keep your team fueled with timely and relevant content, Show & Sell combines an iPad app and a back-end administrative portal to manage every detail of your app. Your marketing team will create and upload content, build surveys, view analytics, manage users, and sync updates to your sales team with a single button. You’re in control. You can change the content, the backgrounds and icons, add your branding, and make it yours. You manage your app and customize it just the way you want it. Or simply set your controls and go on auto-pilot. Sales Mode enables reps to view and share marketing materials and send a personalized message to their customer from their own email account. Show Mode incorporates a lead retrieval component so reps can collect leads, share content, and send a branded corporate email with a link to download the selected content. 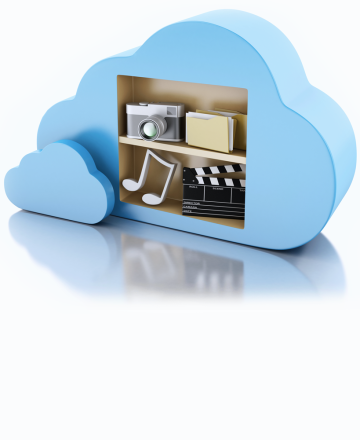 *Some files require optimization for optimum performance and visibility. Refer to instructions provided to prepare files per iOS criteria. 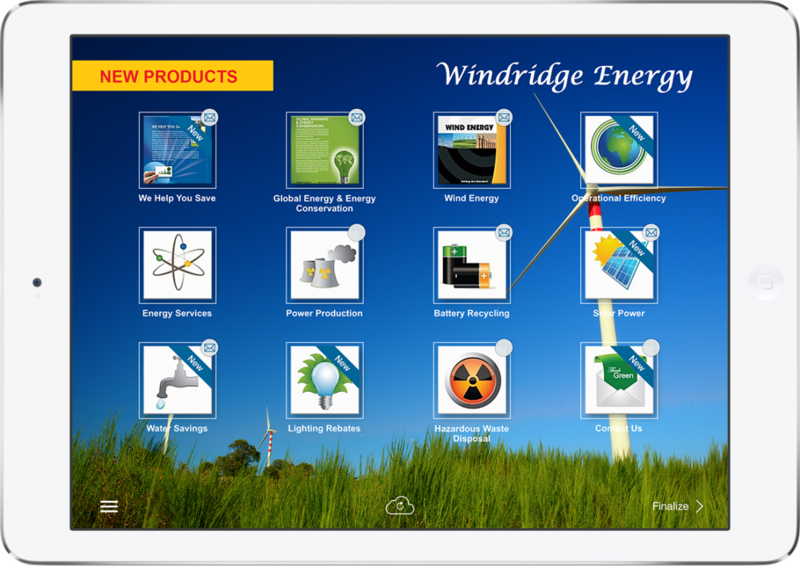 We’ll be happy to help you get your app off the ground and get everything set up for your launch. We have a team of designers and developers ready to help you load your content and design your app to your specifications. You’re still in control. We just make it easier to sit back, relax, and enjoy the flight. Want a tour? We’d love to show you around. In Show Mode, capture attendee’s name, email, company name, phone number, and zip code. Each lead is then individually tracked to tell you what they viewed and what was sent to them. Capture more info in a snap with the built-in photo feature. Snap a photo of a business card, a badge, even a headshot for a profile photo. Photos are saved along with the lead details. 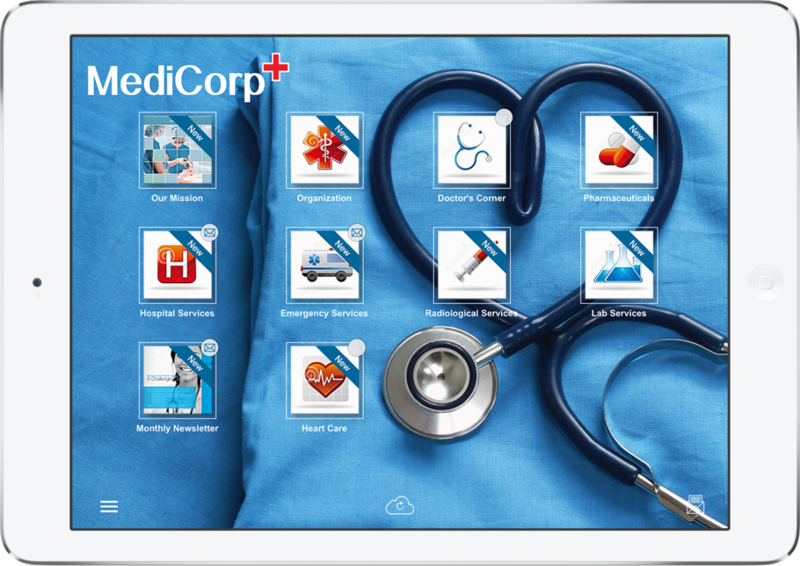 Add comments to any lead, or utilize the staff notes feature to recall submitted leads from any iPad and add follow-up notes to any lead. Notes are discrete and are only seen in post-show reports. With little effort, transform your app to look like a custom app made just for you by allowing you to add your logo and design to customize backgrounds, button icons, and surveys. You decide what content is shareable and what should be view only. Shareable content displays a selectable mail icon. In show mode, the app can also send a different asset than what is shown. Wi-Fi can be expensive and unreliable, especially in an exhibit hall. 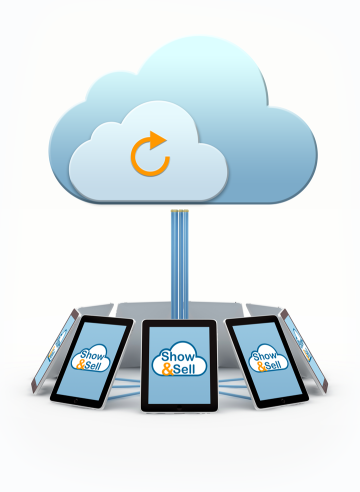 Show & Sell can be used with or without internet*. All leads are saved on the device until an internet connection is made. *Content updates and emails require internet. Show & Sell is powered by our proprietary TouchMedia System™ (TMS). The TMS is an impressive tool that allows you to remotely manage all of the content in your app and sync updates at the push of a button. You’re in control. We’ll help you steer. Show & Sell tracks all the important details about your app. View and export reports to see all leads, content, what was viewed, and what was sent. See what marketing materials get the most traction, or get direct feedback from survey responses. Want value? The difference is in the data. Gauge attendee’s interest by gathering direct feedback from your audience. Use the custom survey builder to publish open-ended and multiple choice questions, then review all of the results post-show in the back-end reporting tools. Make the first move. Follow-up instantly with prospective customers through a customized email that includes a link to download the requested content. Emails can be personalized with your logo, images, and custom copy. Edit in HTML or directly in text – no programming required. Manage all of your users and control who has access to your content. Turn on and off access instantly. 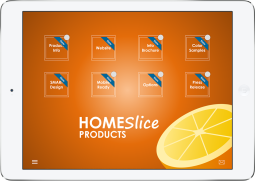 Whether you need one device or hundreds, for your employees or vast distribution network, Show & Sell is completely scalable to meet your needs. Prepare for Take-Off! We’ll be your Co-Pilot. you can instantly change your app too. Sync any updates to your app with just a single button. Need a Custom Feature or Solution? Take the controls and steer yourself! 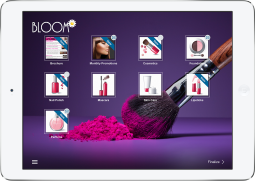 Show Mode & Sales Mode: Get 2 apps for the price of one! Have more than 50 users? More content? More features? Contact us to discuss pricing options that match your needs.